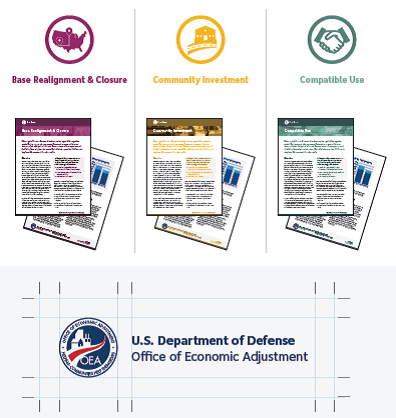 Anthology has worked with DoD’s Office of Economic Adjustment for nine years. Our work has included research, moderating focus groups, strategic communications planning, writing, editing, graphic design, technical writing and more. 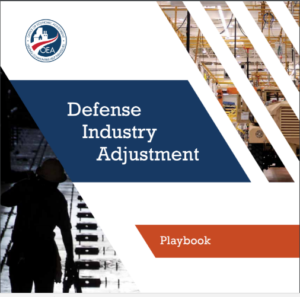 OEA’s focus – to help communities impacted by Defense Department decisions, growth or mission readiness – is diverse and includes a wide variety of audiences and stakeholders that need and want information. As such, Anthology’s work with this office has been wide-ranging and all-encompassing. Anthology developed a Communications Plan that detailed strategies for OEA to use to streamline communications to new and existing audiences, with tactics clearly outlined for implementation and measurement. Underpinning the communications plan was early research that Anthology conducted through in-depth interviews with grantees and an internal staff survey. The insights from these research activities created the foundation of the communications strategy, ensuring the plan was built on real, tangible research with an eye towards an integrated approach. Because of OEA’s numerous stakeholders, Anthology has written and edited material that is audience specific, and includes case studies and project profiles, fact sheets, promotional material like brochures and one-pagers, user guides, presentations, and web copy. Audiences include community leaders and mayors, state and federal policymakers, OEA grantees such as community economic development leaders, planners or members of a Council of Government. Each of these audiences has distinct needs and wants, therefore as we drafted material for OEA communications, we ensured a nuanced approach for optimal effectiveness. Finally, Anthology has a long, rich history of writing and editing technical assistance manuals for grantees and community leaders. Anthology has played a pivotal role in developing publications including the Industry Resilience Local Officials Guide, Industry Resilience Workforce Transition Guide, IR Business Transitions Guide and other OEA grantee publications.